TCL is one of several Chinese brands that have helped its home nation to shake off its reputation for copying existing technologies, proving itself to be quite the innovator over the past few years. For example the company is one of the main pioneers of Mini-LED display technology, leading the way with an eye-popping 75-inch, 8K resolution Quantum Dot model that was shown off at the Consumer Electronics Show in January. Mini-LED is a promising concept no doubt, but many people believe it’s likely to be surpassed by the superior MicroLED technology some day soon. That might explain why TCL is reportedly working on something even better – the development of a hybrid Quantum Dot OLED display that, if successful, could well transcend anything we’ve seen so far. 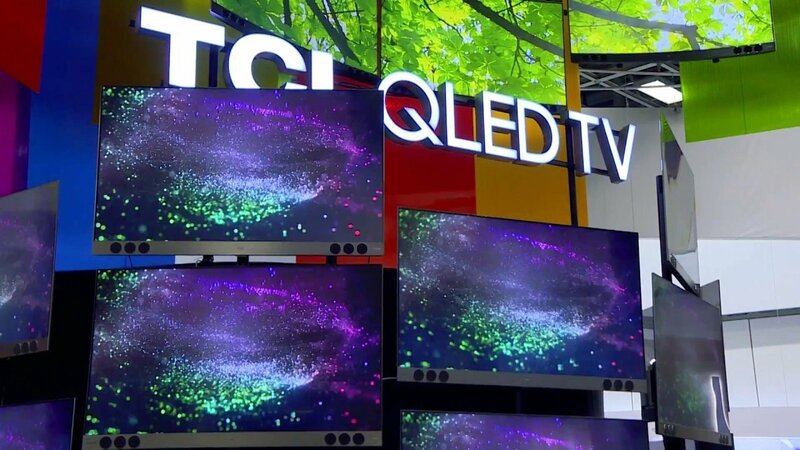 TCL’s plans were revealed by OLED-Info, which said that the Chinese firm is trying to use a blue OLED emitter coupled with red and green Quantum Dot emitters. The three materials would be combined and manufactured using the InkJet printing process, which is also being tested by Japan Display, Panasonic and Sony’s joint venture Japan OLED (JOLED) and is believed to be a more reliable method of building display panels at scale. TCL has apparently named its hybrid technology "H-QLED". If it works, it could end up using it as the basis of all of its high-end TVs, OLED-Info reported. Mass producing H-QLED panels won’t be an easy feat of course. Samsung for instance is also rumoured to be developing a Quantum Dot OLED display and is targeting a production run of 30,000 units per month by 2021. Its QD-OLED technology sounds similar to TCL’s . It’s apparently based on a double-layered fluorescent blue emitter that would combine with reds and greens to create the full spectrum of colour. Combining Quantum Dots with OLED should in theory lead to far more realistic images than are currently possible with either tech alone. OLED’s best qualities are well known, for example the extremely rich contrast ratios that LCD displays can only dream of. Meanwhile Quantum Dot is a newer kind of display technology that involves using semiconductor nanocrystals to produce pure monochromatic red, green, and blue light that delivers more vibrant, natural colours. Adding Quantum Dots to OLED should ensure the best of both worlds. Like Samsung, TCL’s main challenge is creating a blue emitter. Green and red emitters are likely to be achievable in the near future, but blue will take a lot more research, hence the idea of using Quantum Dots, OLED-Info reported.